Your LakeCountyEye has discovered that the Polar Vortex was caused by some cold calculations made in Old Mill Creek. ... the Old Mill Creek Village Board recently discussed a motion that would, in effect, remove a certified candidate from their election ballot. There is one candidate running for the office of Old Mill Creek Village Clerk in the 2019 municipal election. 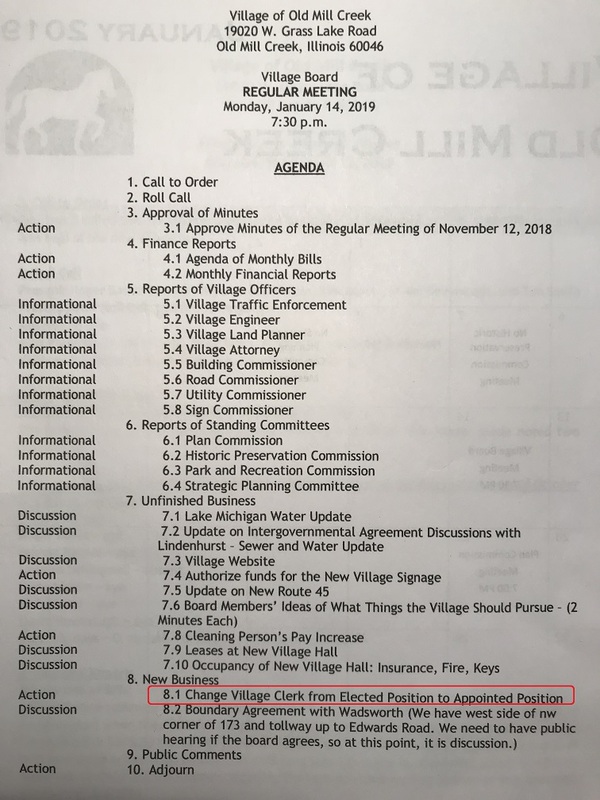 But two weeks ago the Old Mill Creek Village board considered a motion to change their Village Clerk from an elected to an appointed position -- a motion that could have nullified the 2019 election for the candidate. No elected position means no pesky candidate, no more! The motion was discussed for more than 20 minutes. Ultimately, counsel convinced the Board that they lacked the legal authority to pass a law that would strike an elected office from an upcoming election ballot. And your LakeCountyEye reported that the Board dropped the motion. One Sharpeyed Operative has pointed out that the motion was in fact brought to a vote. And was voted down. This is correct. However, the motion was changed so as to be effective when the term of the next Village Clerk expired. It would not have nullified the outcome of the 2019 election. The Old Mill Creek paper shredding machine was unavailable for comment.